An Orwellian state, solid cast and one of Will Smith’s most serious movie choices to date, what can go wrong? When attorney Robert Dean receives evidence of a government cover up, he’s forced to go on the run to protect himself and his family. 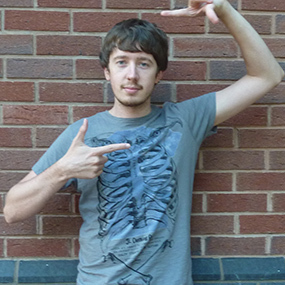 With nowhere else to turn, Dean must seek out Brill, the only person that might know what’s going on. Known for its Big Brother approach, Enemy of the State definitely doesn’t disappoint with its advanced tracking gadgets and mass of surveillance technologies from tracing bugs to high-tech CCTV. What makes the film so effective is the simplicity in which the methods of surveillance are used to provide seamlessly believable situations and an interesting storyline. The wealth of high profile actors present is evident from early on, with the likes of Gene Hackman, Jon Voight and Stuart Wilson to name a few. The majority of this strong cast fits into their roles comfortably with an excellent on-screen dynamic, particularly between Hackman and Smith. Their dislike for each other is undermined by their need for each other’s help and it’s a joy to watch when they eventually break boundaries and work in unison. This, along with Independence Day and Bad Boys, is one of Will Smith’s early roles where he can be seen to develop from a well known Fresh Prince of Bel Air comedian to a serious actor. His occasional humour fits the role of Robert Dean easily however Smith unfortunately reverts back to the decidedly dumb character that he’s produced too many times before and after playing a smart attorney in the opening scenes this quickly becomes inappropriate and unrealistic. Again, this only serves as another way to attempt a few laughs and starts to feel a little too familiar in the later scenes. 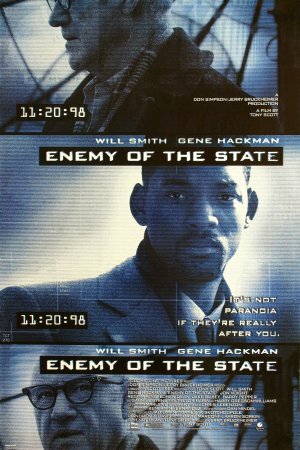 Despite this, Enemy of the state is a cleverly constructed action flick with a brilliant cast and a big brother theory to get the brain thinking; definitely a must for fans of government conspiracy theories.